It is with great sadness that I am writing to let you know that one of our founding division members, Lynda Lee Kaid, passed away April 13, 2011. Dr. Kaid's scholarly accomplishments were numerous. Among them was her prolific mentoring, leading our division to name its outstanding dissertation award after her in 2010. Her legacy will certainly be remembered as many of her doctoral students are dynamic teachers and researchers in the field of political communication generally and are active contributors to our division specifically. A panel in her honor will be held during our November conference. If you would like more information about this panel and how you can contribute to it, please contact Dr. John Tedesco (tedesco@vt.edu). I will provide details once plans have been finalized. 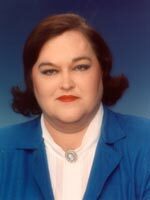 Professor Lynda Lee Kaid, University of Florida Research Foundation Professor and Professor of Telecommunication in the College of Journalism and Communications unexpectedly passed away on April 13, 2011. She was 62. Kaid, a former George Lynn Cross Research Professor at the University of Oklahoma, had joined the UF faculty as Senior Associate Dean for Graduate Studies and Research in 2001. Her special fields of research and teaching included political communication and political advertising. She was a recipient of a UF university-wide Outstanding Doctoral Mentoring and Advising award for 2010-2011, and in November, 2010 the National Communication Association named the annual Lynda Lee Kaid Outstanding Dissertation in Political Communication award in her honor. A three-time Fulbright Senior Scholar, Kaid chaired 41 doctoral recipients, many more masters recipients, and coordinated the UVote research team, an international consortium of faculty and graduate students at 32 universities in the U.S. and 12 international universities who joined together to conduct political communication research. She promoted interdisciplinary teams of collaborative research and was committed to providing international research opportunities for doctoral students. In 2009, she received one of UF's International Educator Awards. She received over $1.8 million in competitive grants and other funding from sources including the National Science Foundation, the National Endowment for the Humanities, the Federal Election Assistance Commission, the Oklahoma Historical Society, and the Council for European Studies at Columbia University. She authored or edited over 30 books and nearly 200 refereed articles and book chapters. Kaid was named by Communication Quarterly as one of the most productive scholars in the discipline. A few of the many honors she received include being named a recipient of a Distinguished Alumni Award, Southern Illinois University, October, 2007, with a permanent picture/award on the Honor Wall in the Student Center; a Plaza of Heroines Permanent Brick, Carrie Chapman Catt Center for Women and Politics, Iowa State University; and two commendations from the Oklahoma Legislature for achievement as a George Lynn Cross Research Professor and for the founding and activities of the Political Communication Center and the Political Commercial Archive at the University of Oklahoma. The Political Commercial Archive was designated one of "America's Treasures" by the White House Millennium Council and the National Historic Preservation Trust in 1999. A memorial service to celebrate her life will be held on June 1, 2011 at 2:00 at the Baughman Meditation Center in Gainesville, Florida. In lieu of flowers, the family requests that donations be sent to the Political Communication Research Foundation, 2230 NW 24th Avenue, Gainesville, FL 32605, and designated for the Kaid memorial fund. The Political Communication Research Foundation (PCRF) is a charitable 501(c)(3) organization to which contributions are Federal income tax deductible. Donations will be used to fund awards or scholarships in political communication research named in honor of Lynda Lee Kaid by the International Communication Association, the University of Florida, and other leading Communication and Political Science Associations. Professor Kaid was preceded in death by her father, Billy C. Kaid, of Eldorado, IL. She is survived by her husband of over 37 years, Clifford A. Jones, of Gainesville, FL, of UF's Levin College of Law; her mother Leona Kaid, sister Patricia Kaid Kittinger of Eldorado, and brother Terry C. Kaid (Carrier Mills, IL), as well as nieces Alicia Kaid Bugg, Holly Kaid Wenzel and nephews Tyler Kaid, Logan Kittinger, Alex Kittinger, and three great-nephews.